Junior Chamber Economic of Grand-Duché of Luxembourg realizes every year several projects. These are the keystone of the JCI movement and turned around a social objective , economic and / or cultural objective, meeting a need in the city. They are made by committees (or working groups) . So members can experiment and gain experience through action to benefit the community. The ambition of this award is to determine the most Creative Young Entrepreneur established in Luxembourg. Each month a guest (entrepreneur , political, financial , personality, etc .. ) is invited to share his experience with members. JCI Luxembourg trains young people in public speaking and to triumph in a debate , all around a fun contest. The next training will be held June 4, 2016 . 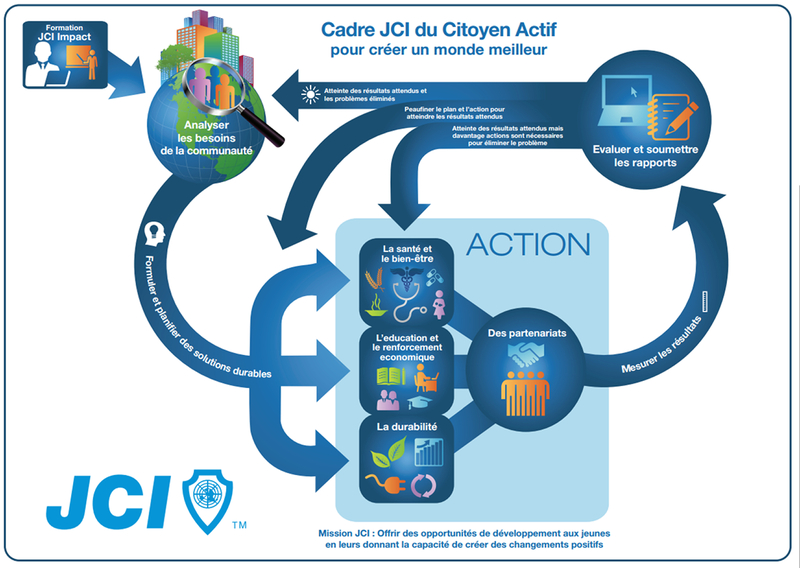 JCI Luxembourg , would give voice to the people of the city of Luxembourg and find with them , using the JCI Active Citizen Framework, solutions to address the major problems of the city. The Francoformations are a training weekend bringing together members of the Young Francophone Economic Chambers following : Belgium, Switzerland, France , Luxembourg, Monaco and Tunisia. This event is organized in turn by one of these six countries. JCI Luxembourg organized on the 16th of May 2008 a breakfast “Et si vous vous ét(h)iquetiez équitable ?” in order to promote Fair Trade products and more widely Social Responsibility in companies.